This is a strong, rich coffee that lives up to its name. San Francisco Bay Fog Chaser coffee provides a perfect way to start your day. 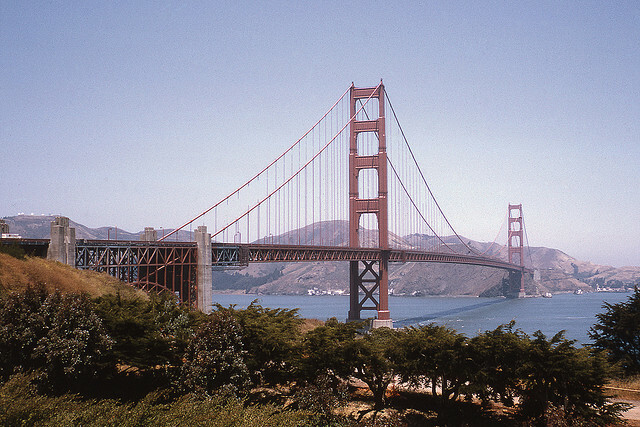 If you live in San Francisco or have ever visited, you know that the beauty of the city is often obscured by fog. When the fog is gone, the City by the Bay sparkles in the clear, crisp air. “Fog chaser” is an apt metaphor for a good cup of coffee that wakes you up in the morning and chases away the remnants of sleep. After one or two cups of this Fog Chaser blend, you’ll be ready to face whatever challenges your day may throw your way. San Francisco Bay Fog Chaser is a full-city roasted blend of high-grown 100% Arabica Central and South American coffees. The aroma is rich and fresh. Although Fog Chaser is a full-bodied, bold blend, I find it to be very smooth and balanced, with no bitter aftertaste. The coffee is grown and sold by Rogers Family Company of Lincoln, California. Coffee purchases help support the company’s Community Aid Program, called “Grown for Good,” which provides schools, day care centers, community kitchens, and medical clinics for coffee farmers. San Francisco Bay Fog Chaser coffee is available in packages of both whole bean coffee and ground coffee to suit your preference. 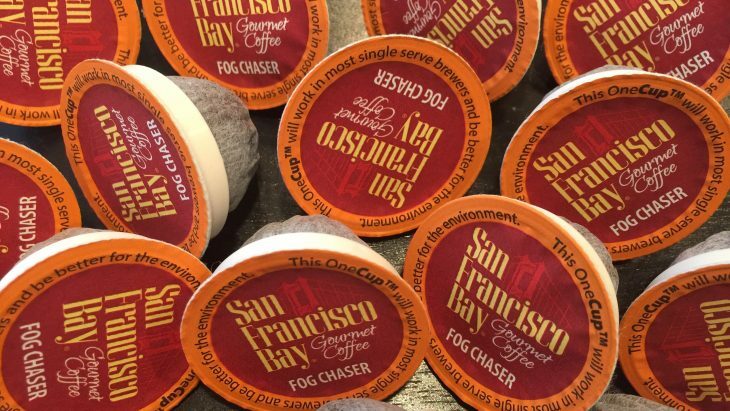 Or if you enjoy the convenience of single-serve coffee but you’re concerned about the environmental impact of plastic coffee pods, I highly recommend San Francisco Bay Fog Chaser coffee in the OneCup™ format. The innovative single serve OneCup™ is an environmentally friendly coffee pod that is compatible with most Keurig® brewers and other single cup coffee makers. The OneCup™ has a foil top like the K-Cup® but the plastic container portion of the cup is replaced by a biodegradable filter pod. The San Francisco Bay Fog Chaser OneCups™ are available in a range of package sizes from 12 count to 120 count. Within each box, the OneCups™ are packaged in heavy duty plastic “flavor-lock” compostable bags. To keep the coffee fresh once a bag is opened, it’s best to store the OneCups™ in an airtight container or a Ziploc® bag. But if you drink a lot of coffee as I do, you can just cut a small opening in the bag, remove your OneCup™, and close the bag with a clip. San Francisco Bay Fog Chaser coffee has for quite some time been my go-to morning coffee, primarily in the OneCup™ single-serve format. Give it a try. I’m quite sure you’ll agree it’s an excellent coffee, at a very reasonable price. This is my favorite coffee! I was storing them in a zipper bag until I noticed, in the 80 count box, they now include a plastic lidded container to store the extras. Amity, thank you for your comment. I never get tired of the Fog Chaser coffee. For storage, I often keep the opened bag inside the plastic container for “double” protection. I just received a box of 80. There was no plastic container in the box except the bags they came in. You’re right, Michael. I order this coffee regularly in 80-count boxes, and there is no longer a plastic container in the box, at least in the ones that I’ve received.